Owners of lounges, relaxation gardens, restaurants and joints as well as food vendors in the Federal Capital Territory (FCT), Abuja, are united by a common headache at the moment: biting, low patronage. This time, It could not be attributed to “unfavourable economic policies” of government. Rather, it is on account of the decision of thousands of Christian customers to engage in the annual New Year fasting and prayers proclaimed by many Pentecostal churches. Those engaging in the fast are regular visitors but as they choose to take a few weeks’ break for the spiritual exercise, the food businesses experience a dip in their fortunes. They yielded to the directive of their spiritual leaders to deny themselves worldly pleasures and engage in spiritual exercise that would bring them closer to God ahead of the 12-month journey of 2019. This is taking a huge toll on operators of restaurants, gardens and other pleasure points in Abuja. And they have been complaining of a significant drop in patronage and visits. The annual fasting and prayers exercise was proclaimed a few years ago by some pastors following a divine communication from heaven mandating Christian believers to engage in fasting, prayer and other spiritual exercise to seek God’s face ahead of the new year. In addition, the pastors warned that activities that would give additional pleasure to the flesh should also be avoided for the period of the spiritual adventure. This, they said, was to allow for presence of God and a full package of the spiritual exercise. The pastors said the exercise could be a minimum of 21 days or more. But whichever way, participants must be spiritually awake to hear and receive word from God. However, there was evidence that the spiritual injunction witnessed little compliance in the beginning. But as testimonies poured in from participants in previous exercises, more people were convinced to join. And now it almost a must for all Christians. The 2019 edition commenced a few days ago in virtually all the Pentecostal churches that engage in the exercise, as part of their yearly spiritual calendar. In some churches, the fasting and prayer, and other spiritual exercise is for 21 days, while others go beyond that. Nonetheless, participants were encouraged to resist temptation, avoid food, drinks, other nourishing pleasures and stay alert spiritually, so they could deeply connect to God and hear his voice regarding their affairs in the 12 months of 2019. A senior church official in World Harvest Church, Abuja, Basil Oge, told our correspondent that benefits of the exercise are numerous and only those who conscientiously participated in the exercise are entitled to the rewards. Oge said the annual exercise has become a major spiritual activity in the calendar of many Pentecostal churches in Nigeria. He confirmed that the directive was from God and that was why he backed it up with numerous signs and wonders to prove himself. He also suggested that the exercise be done with wisdom, especially for people with health challenges, who might want to put their faith on display by participating in the exercise. “Wisdom is profitable to direct,” he said. Presiding bishop, Living Faith Church, Goshen, David Abioye, prior to the commencement of the exercise a few days ago, exposed participants to the huge benefits of fasting and prayers in facilitating answers to prayer. He challenged church members to isolate themselves from the “world” in this period, pray and fast, and also deny themselves some temporary pleasures and await unexpected favours and blessings from God. Meanwhile, some operators of restaurants and other relaxation points have continued to lament over the significant drop in sales. They declared that their customers have stayed away from their shops because of the ongoing fasting and prayers proclaimed by some churches. Findings showed that some restaurants and gardens whose major customers were not Christians have not felt the negative impact of the spiritual exercise. 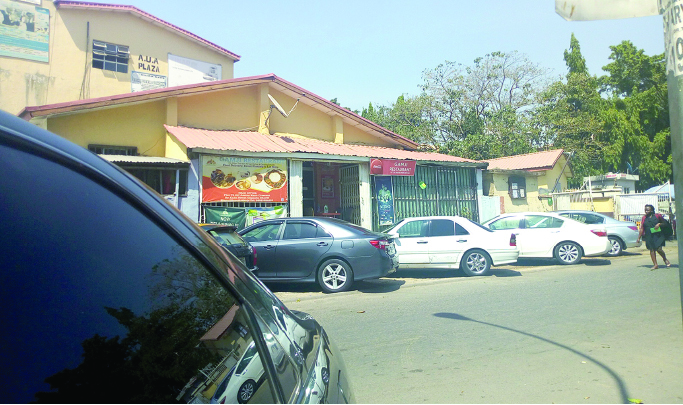 A restaurant operator in Wuse Zone 1, Abuja, who pleaded anonymity, said she was badly affected by the ongoing spiritual journey of her numerous customers. She confessed that she could not record half of the sakes she used to make daily because of the fasting. She said: “The experience is not new to me. We always prepare consciously and otherwise for this period because a large percentage of our customers are Christians, most of whom are members of Pentecostal churches that are currently on this spiritual journey. We try to change our menu this period to accommodate their interests. For Mama Oyibo, who sell beans and roasted plantain in Garki Area 11, Abuja, said she has not seen some of her regular customers for some days now. She believed that the fasting and prayers could have made them to stay away from her shop. She said: “I saw two of them a few days ago and I was curious on why they chose to avoid my shop but they could not respond. I became uncomfortable until their friend whispered to me that they were fasting. I prayed that God would answer their prayers. Meanwhile, at the food booth in Federal Secretariat car park, Abuja. The food place which was obviously partitioned could be easily identified by tribal names boldly pasted on the walls. It enables customers to make choice of meal.